beautyamare: Festive Pinky Pop Makeup! Hari Raya is one of the most significant religious festivals for the Muslim community. I am not a Muslim but I do celebrate Hari Raya with my Muslim friends here in Singapore. My friends will prepare their traditional delicacies which are totally mouth-watering. Hari Raya is a celebration after a month-long fasting for reflection and of worship. For the past years of visiting my Friend Sid and Henson's family in Yishun, you will appreciate the wonderful time they spent celebrating Hari Raya with their family! You can feel the warmth and happy environment. So, I decided to do a simple Festive Pinky Pop makeup that you can may wear during the celebration of Hari Raya with your Family and Friends. You can also wear this in any special events. Simple yet fun and glamorous! 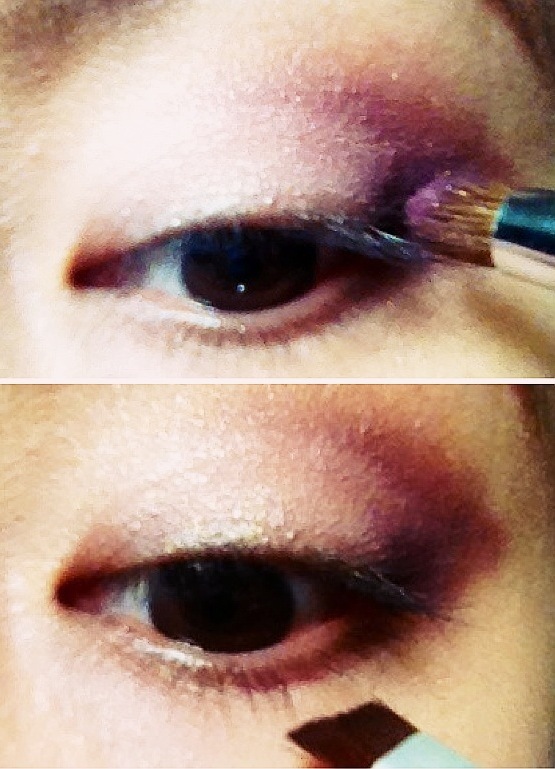 I started with my eyes using my finger to spread the Urban Decay's Potion Eye Primer on my eyelids. An eye primer is a base to make eyeshadow last longer and maintain vibrant colors all day! 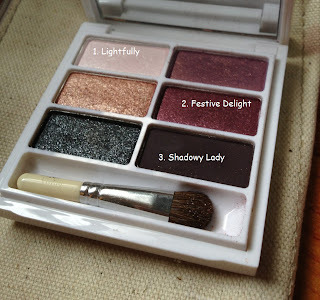 In this tutorial, I am using the MAC Snowglobe Eyeshadows/Sultry. 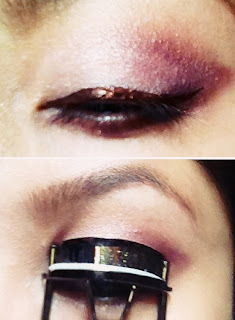 I used first the lightest color and put on all over my crease using eyeshadow brush. From the same palette, using the contour brush, I used the Festive shade to put on the outer lid with my chin slightly lifted. I shaded from the outer corner inwardly and blended the two colors using a blending brush. Added a little bit of the Shadowy Shade on the outer corner to get the 3D effect. After that, I used what was left on the brush and ran it along the lower lash line. To make the eyes look fuller, you can use a black eyeliner too but for this look I used a brown eyeliner from Estee Lauder Pure Color 905. Then, I curl my eyelashes and finished it with my Maybelline Falsies Mascara. I know face contour is very important but for this look, I wanted a simple pink color. 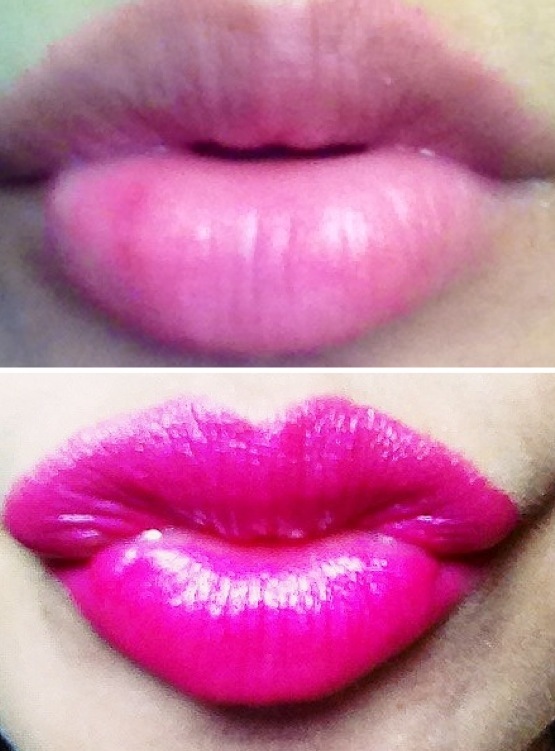 I used BodyShop's Lily Cole Limited Edition Lip and Cheek Dome. Just tap tap tap! For my lips, I decided to wear MAC Amplified Show Orchid A61 since I did not put much colors on my eye shadows. Now, Look is finished and ready to celebrate the festive event! I hope you love it! Selamat Hari Raya Aidilfitri to my Friends! Should you have any queries/suggestions, please leave a comment below. OMG!!! I totally love your cheeks here!! thank youso much for visiting my blog and because of that I found yours.. 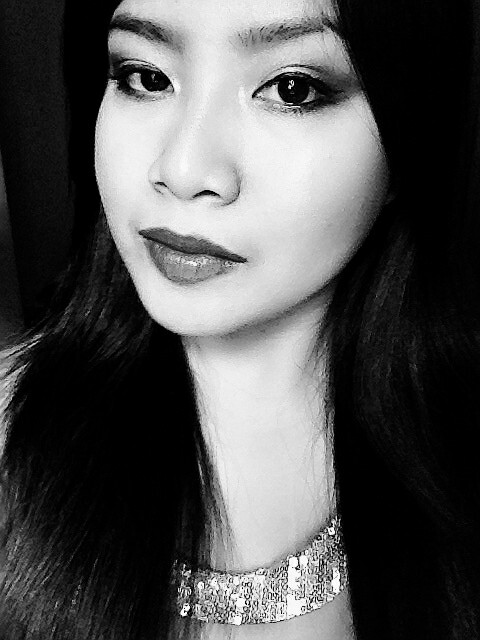 I am now your followers..
Mel, can you give us tips on how to conceal eyebags?? i do have a problem with it since forever!! Hi Erica! that is my problem too but there are techniques to hide it! I will post soon!Thanks ate Erica!Sorry, I accidentally deleted my first reply! PLEASE DROP BY AGAIN ANYTIME!!! Copyright © 2012 beautyamare . All Rights Reserved. . Simple theme. Powered by Blogger.